Torah has been misunderstood by many. The Strong’s definition is #8451 ~ torah (law, direction, instruction). 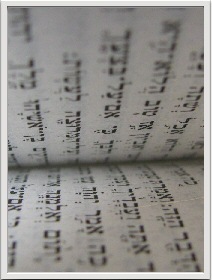 Torah simply means teaching or instruction. Torah is the 1st Five Books of Moses. It is a document in which YHVH has revealed Himself to mankind and taught us about Himself. Torah is a covenant, a legally binding agreement between YHVH and the His people. Yeshua, himself was the greatest Torah teacher who ever lived. He clearly states that he did not come do away with the Torah, and he rebuked anyone for teaching that it should be done away with (Matthew 5:17-20). Yeshua taught that the major purposes for the Torah was to see him in all it’s teachings. River of Life Tabernacle provides the assembly with a daily calendar reading schedule of the Torah, combined with readings throughout the Scriptures. These are available to you at the back table at the Congregation, and our website under the Calendars Menu.